rocky's bru: So, will Muhyiddin step out and be counted? So, will Muhyiddin step out and be counted? Is he even contemplating it? Remember, I bear no malicious intent when coming up with the heading for this posting; just asking the obvious question that RPK hasn't asked. Because if claims that the Deputy Prime Minister Muhyiddin Yassin wasn't with his boss on the 1MDB issue were true, then here's a chance for him to put the issue to rest once and for all. 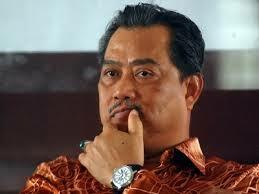 Muhyiddin is a Malay gentleman and a Malay gentleman does not walk away from a challenge, or a duel. In Malay, it's described as pantang dicabar. 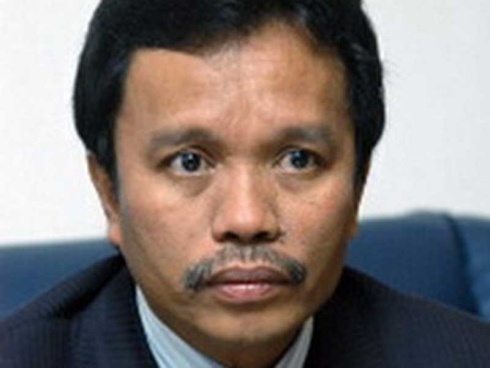 Same thing with Shafie Afdal, the UMNO vice president and Rural and Regional Development Minister, who was said to have been showing waning support for Najib Razak lately. Sources attributed this to a rumoured meeting between some political brokers and Shafie not too long ago, where they discussed the possibility of the Sabahan being made DPM in the event that Najib Razak steps down and Muhyiddin steps up as the new PM. 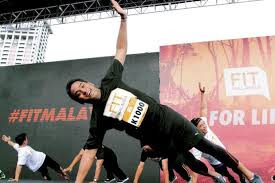 And not forgetting KJ, who may have gone off tangent when commenting on the 1MDB issue on more than a few occassions although, I must add, the UMNO Youth chief and Federal Youth and Sports Minister has been smart about it. Based on history, I don't think Muhyiddin's loyalty is in question at all. Back in 2008, when Abdullah Ahmad Badawi's fall as PM had become imminent, Muhyiddin was offered - not once but twice - the seat of the UMNO presidency and (therefore) Malaysian premiership as the kingmakers weren't too happy with Najib's softly-softly approach with Pak Lah at the time. But Muhyiddin said NO to both offers to stab his tag team in the back. It's hard to imagine he'd change in such a short time. Unless, of course, there's a gun trained on his head. Najib yang patut resign sebab hanya dia mempunyai kaitan secara langsung dengan 1MDB. Kenapa pula menteri kabinet lain yang perlu resign kalau tak sokong 1MDB. Budak sekolah tadika pun tahu 1MDB satu kerja bahalol yang dibuat oleh Najib Razak dan hanya Najib Razak yang rasa macam cerdik tapi bodoh nak mampos. InsyaAllah, when they do so, UMNO members will ask Najib, is he for UMNO or himself? twisted stupid comment from najib. 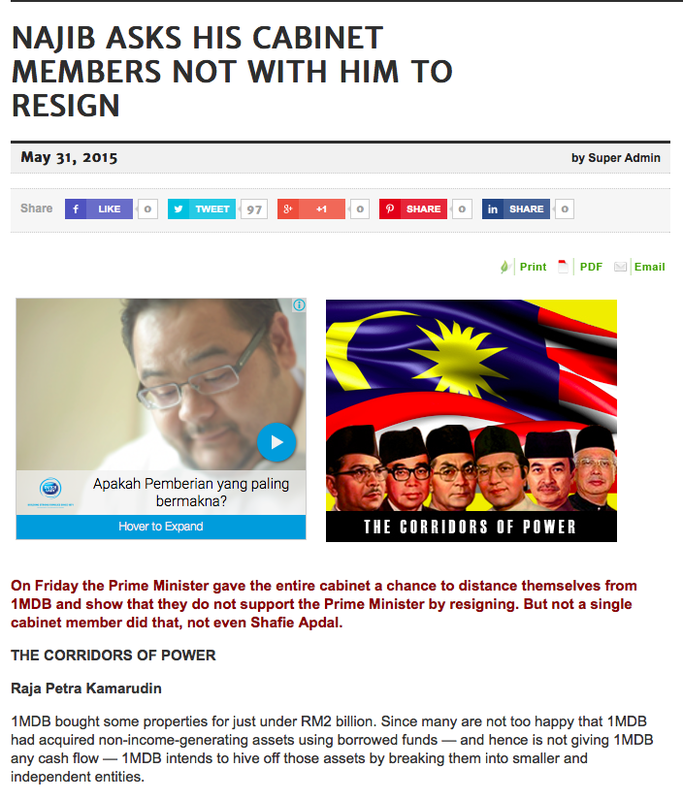 najib should say, cabinet members not agreeing with him, should tell him to step down. not the other way around. for a mistake made by one man, the rest should quit? what twisted logic is that? What utter rubbish is this?He stole the country's money and now asking those who disagree with his stealing to resign?We will be screwed forever. The alternative though not to resign. A new votes in Umno's supreme council will do the democracy job. Whoever suits to resign, and to fight for the top and second post, due to 1MDB's conflict. Later in the day, everybody will get a fair chance. Sound convincing ? Hope they understand the word "bersatu" that has been neglected for years. Save Umno. Dia (TPM) dah cakap dia hanya takut pada Tuhan. Najib pulak beri jawapan kemudian boleh 'PINDA' jawapan DALAM PARLIAMENT! Does that not amount to LYING? Kalau orang biasa bab hal $100-200 ke tipu pun boleh kena hukum, ini kan pulak $BILLION? Cuba kamu buat a short call voting and see a sample whether the rakyat is behind Najib, PM, Finance Minister, Advisor 1MDB (All is ONE or One is ALL). Dia gi belajar London balik pakai orang London jugak jadi penasihat, kejadah abende nya tuh? Why are defending Najib hard? The money was worth it? How much did tan sri al amin paid you? Must be a lot for you to abandon your integrity and deal wth the devil? if najib have the ball to fire them then i will salute him as the bugis warrior, if not than i think he is just a bugis puppet controlled by his minang wife. of the people they are supposed to represent. A good example is just look at the MCA, MIC and all the members of BN. They don't have the support of the very people they are supposed to represent. Yet they are in the cabinet, just for the many incentives that Najib is able to offer them and most of all for the glamor and the life style the position of being a minister, period. Therefore these cronies of Najib will jump ship to morrow if Najib is no longer the PM, especially when Najib's deputy, the 'cow, will remain as the DPM to ensure his aspirations to become the PM in the event Najib gets the boot to remain as the PM. Most of all there is nothing else these ministers can turn to if they jump. Where else can these scums go to ? Of course the repugnant and avaricious half breed Mahathir does not have the same advantage as Najib does. And as a consequent everyday that passes by the little support that this 'chap chong's' has is diminishing. Not that he ever had much support to begin with, he knows that but is still in the illusion that he has a lot of support. If he did why is it that majority of the candidates he supported and or campaigned for in the by elections or in the GE lost their election. He had to turn to deceits and the importation of muslims with the promise of different kind of rewards just to remain in power. He never had the majority support of the people even when he was the PM and it had to be the true and only reason why he 'resigned'. Do you honestly think or believe that he will ever 'resign' ? He 'resigned' simply because he knew his days as the PM was over and it was better for for him to 'resign' before he is told to. Only Najib now has this advantage as the PM and if to morrow he looses this advantage tall the cabinet frogs will not even hesitate to jump ship. These frogs are true politicians in every word of it, true politicians they are and that is why they are known as 'fair weather' politicians ! Ah, at the end of it, it is still the entity of corrupt politicians who will call the shots and pilfer the resources of the country? Its so difficult to even imagine a clean break from the clutches of the corrupt for a refreshing start for Malaysia. Simply because, it means your gravy trains from the corrupt will end? Do you believe the Sarawak Report? I'm not surprised at all if none resign. Apa nak buat the present crop of UMNO leaders memang takde balls. Semua macam lalang. Semua nak play safe. Semua nak jaga periuk nasi masing2. At this rate, Najib's wish to be UMNO President for 22 years will come true BUT he will for sure not be Malaysia's PM for 22 years. UMNO leaders maybe apple polishers but rakyat are not dumb. PRU14 will be the end of BN. If the good Cabinet ministers resign, they will leave the country open to mongrels, not just dogs. DPM said he fears Allah. So he cannot resign. To do so would be throwing people into a manger full of hungry dogs. I hope the cheque is big enough for you to take with you into the hereafter. Anak-anak kena makan, kan. Ha ha. Suggest Bro Rocky pergi skali lagi naik motor rentas benua n tinggalkan hal blogging ni for a while or loose the notebook. Has Lim Kok Wing lost his guli-guli?